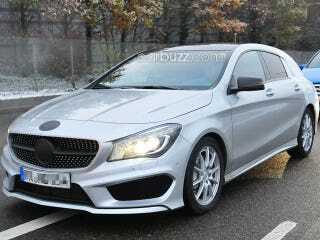 2015 Mercedes Benz CLA Shooting Brake? Opinions? Can honestly say I wasn't expecting this. I don't know why I wasn't expecting it, but I wasn't. I feel like if Benz is going to make this, they will be going the way of BMW with the model redundancy. I don't really have a problem with this, I just think it's unnecessary. I feel like this would go against the GLK, the GLA, the E Estate, and the C Estate. Not really the CLS Shooting Brake. Looks like there are plans for an AMG model, but of course, no plans for it being brought over to the good ol' US of A.